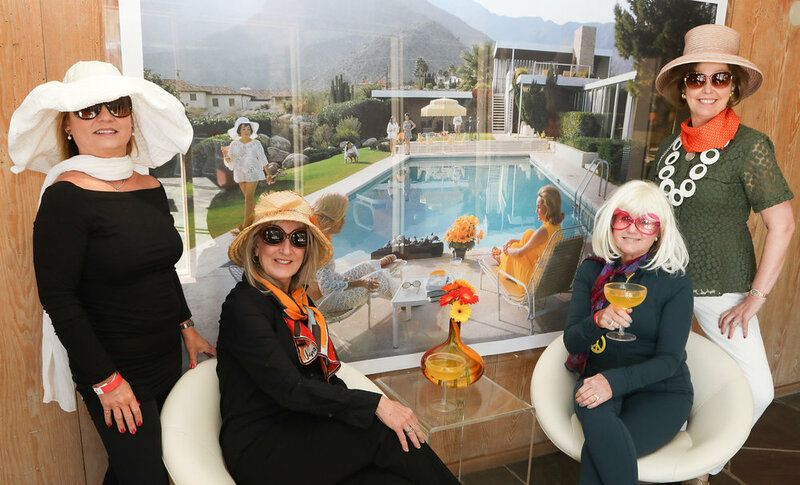 As a TRENO Modernism Bonus: Tourgoers were invite to "Join The Gossip"! 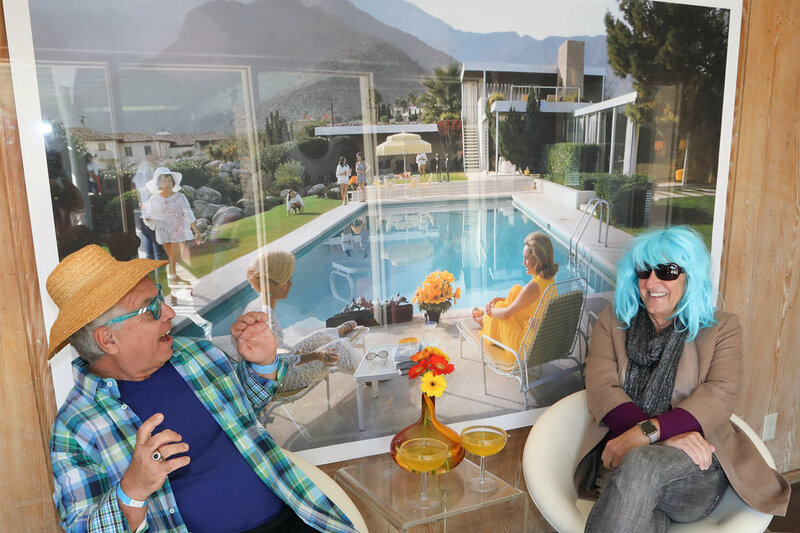 TRENO’s 2018 tour goers encountered a unique photo opportunity – a “surprise and delight” moment with photojournalist Lani Garfield who invited them to add life to an iconic midcentury image. 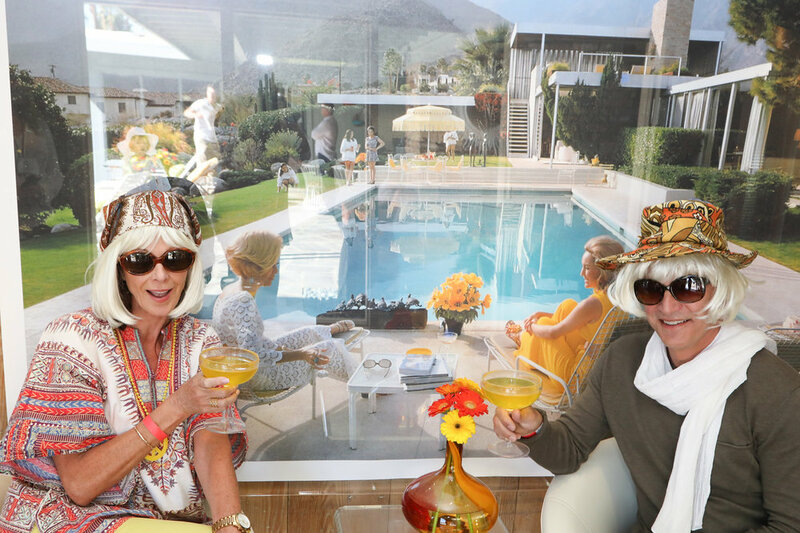 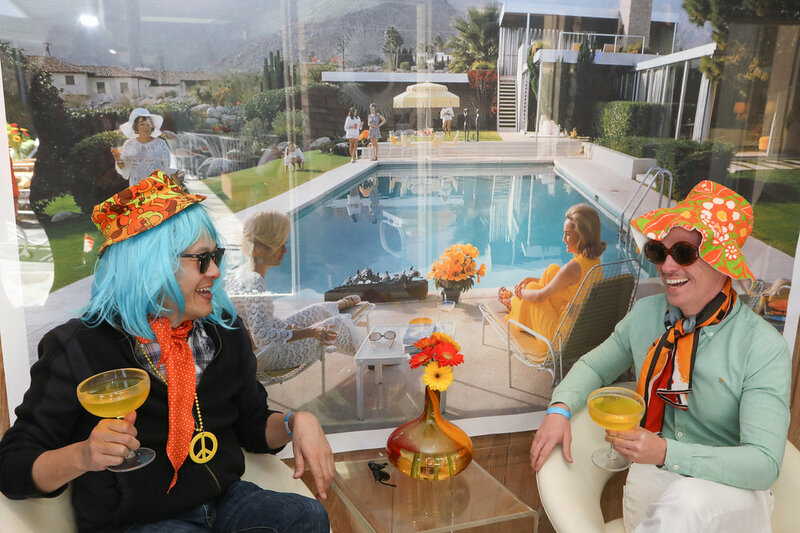 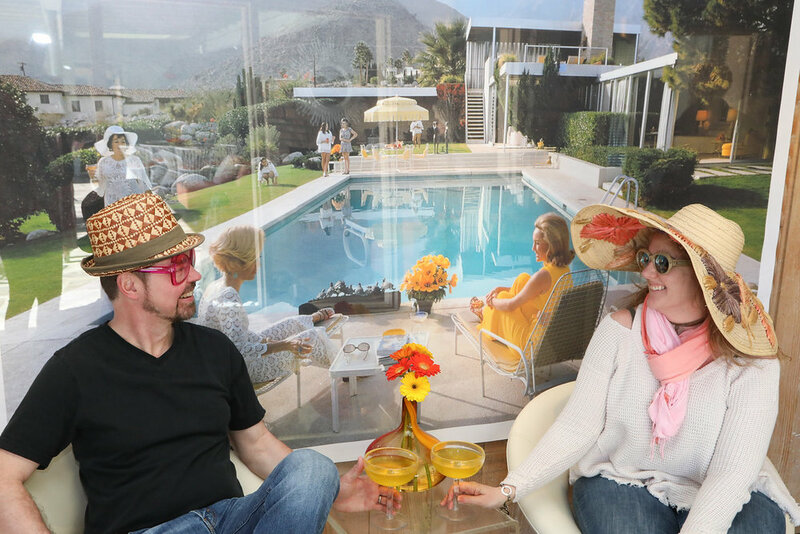 Tour goers became subjects in a fun take on “Poolside Gossip,” the iconic image taken by the society photographer Slim Aarons nearly 50 years ago (1970) in Palm Springs. 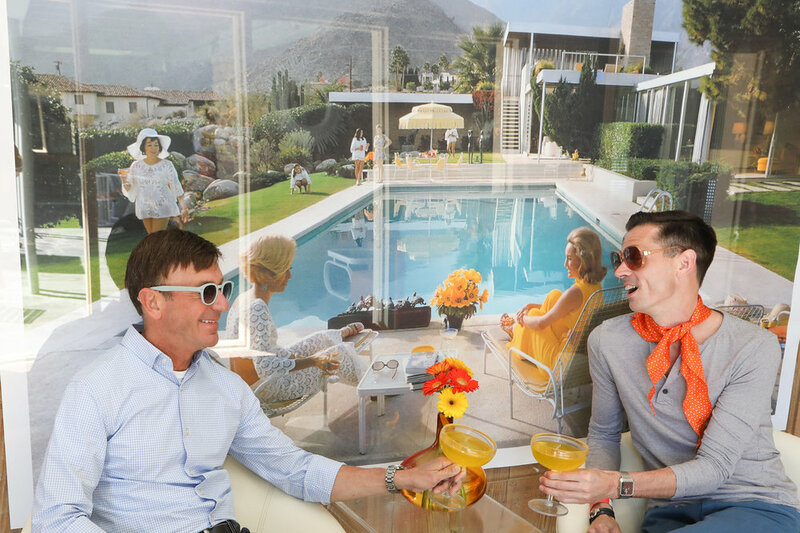 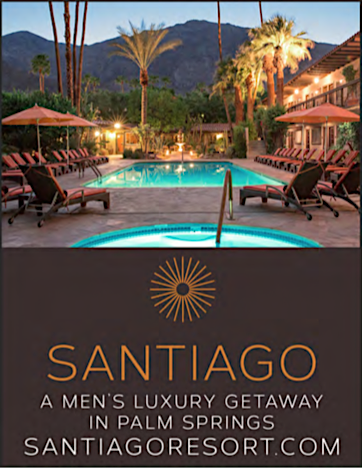 Such images immortalized the lives of the celebrities, socialites and power brokers who were part of the opulent lifestyle and culture of Palm Springs in the 1950s and 1960s. 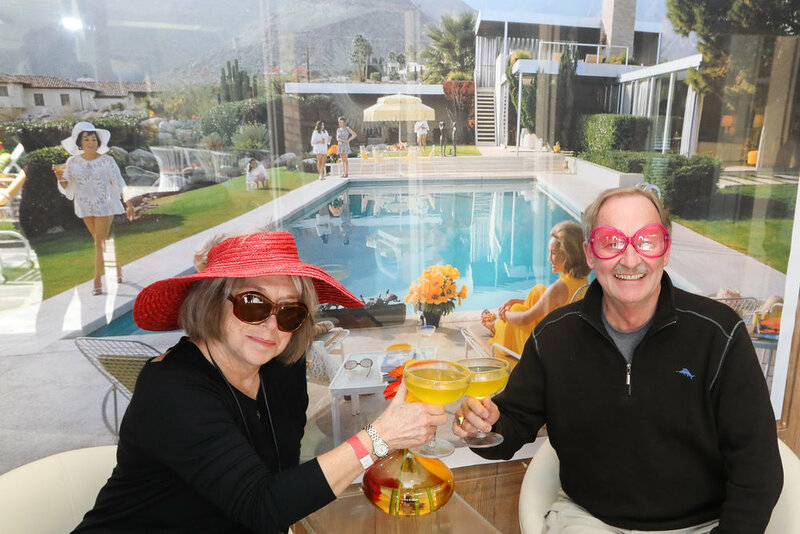 Adventurous tour goers struck a pose (costumes and props were provided) to recapture that era and “join in the gossip” with the subjects in the original images. 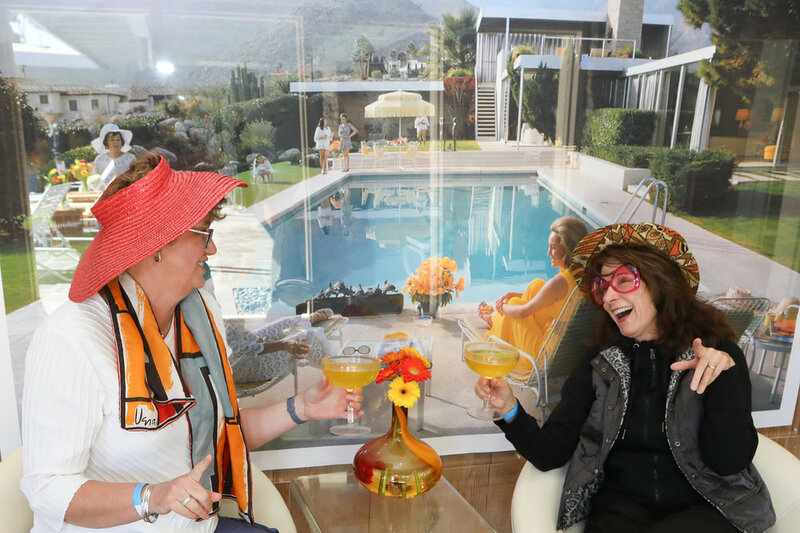 In “Poolside Gossip” two women sit beside a pool looking well-coiffed as a third woman walks toward them with a drink in hand.